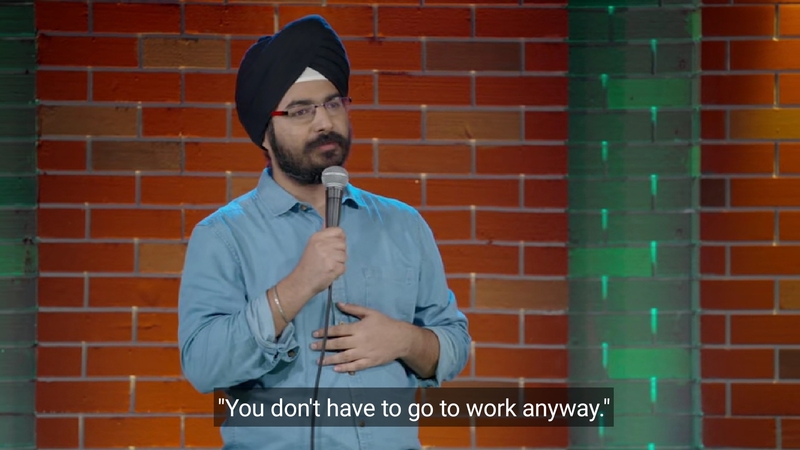 Angad Singh Ranyal, entered the world of stand-up through an Indian culture approved route, by first completing his Engineering and then MBA. He is a part of Team East India Company and has performed in over 1000 shows across India and South East Asia. 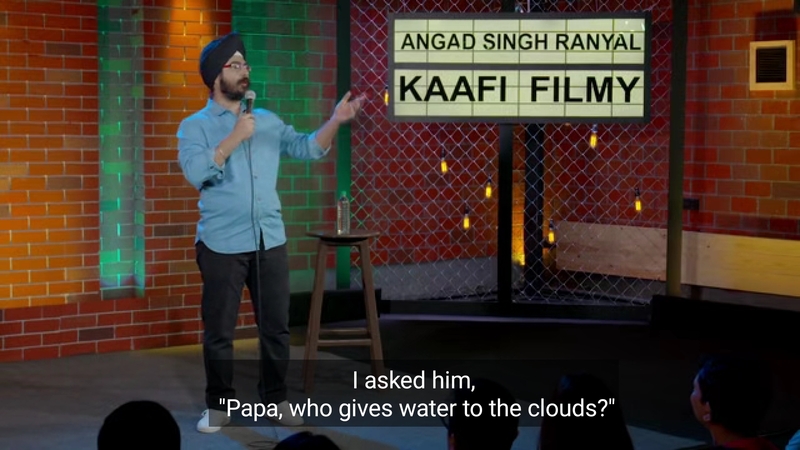 In 2017, he toured the country with his solo special ‘Kaafi Filmy’ which is featured on Amazon Prime Video. 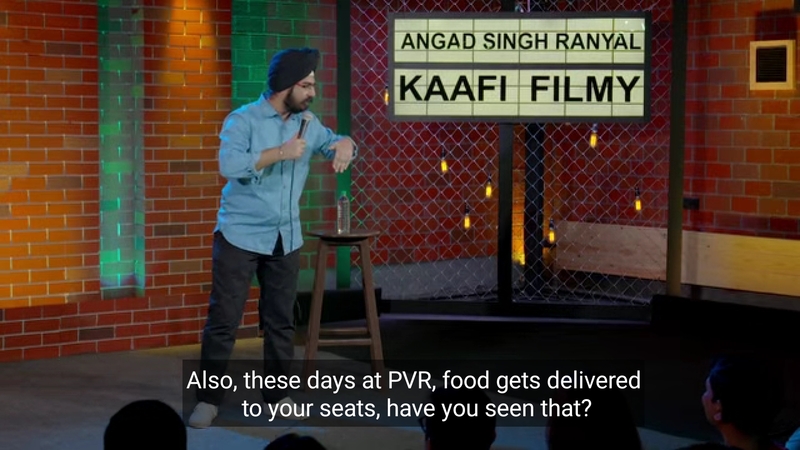 Humour Sapiens’ review of Kaafi Filmy! Movies are now a part of human existence, with all the entertainment, inspiration and aspiration that they offer. 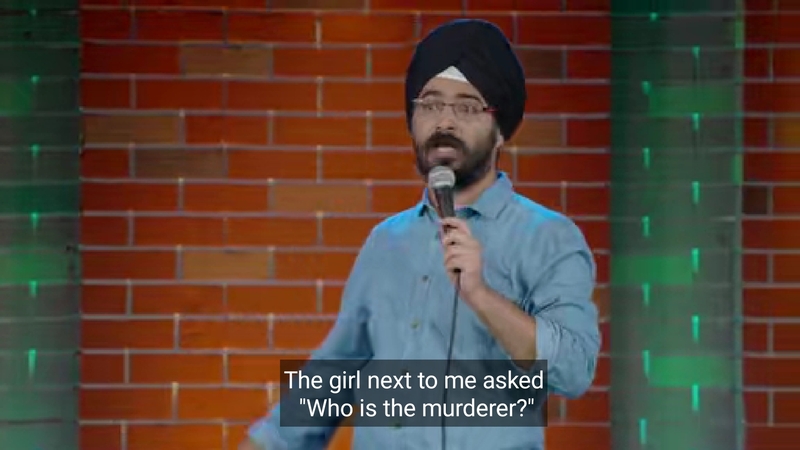 Bollywood movies intrigue him the most. 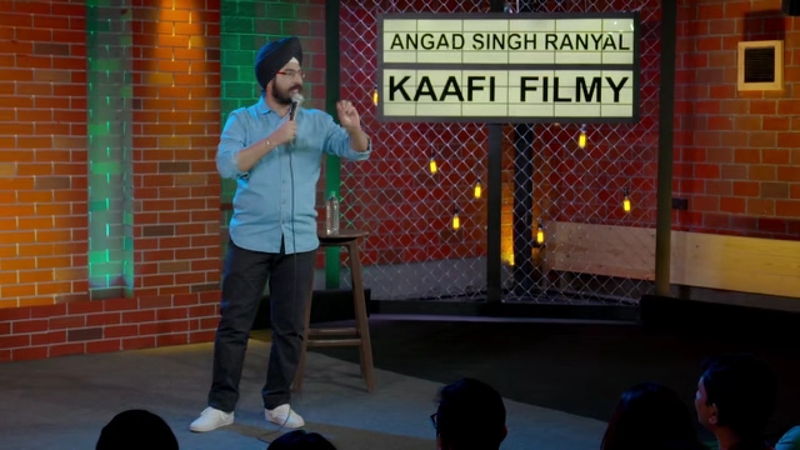 The name of his stand-up special, Kaafi Filmy makes us believe that he has extracted his material from Bollywood but the special was a lot more than what we expected. Angad’s mother is stronger than the local goons, respectfully. His father waters the clouds. His sister has problems with him breathing heavily as if he is inhaling all the oxygen that’s there in a room. And him, he is an ideal son. What makes the act extra hilarious is the way he makes fun of everything, from his past life to himself. 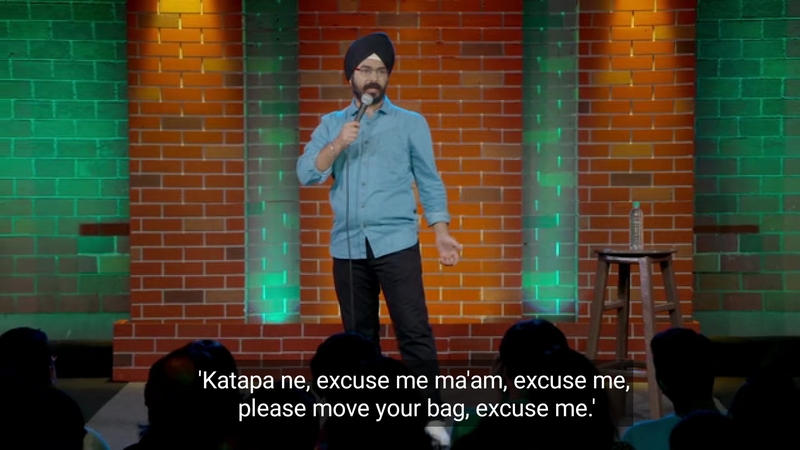 We all hate when people talk in a movie hall, and when the kids cry, or their inquisitive self comes out to dissect every possible scene in the movie. 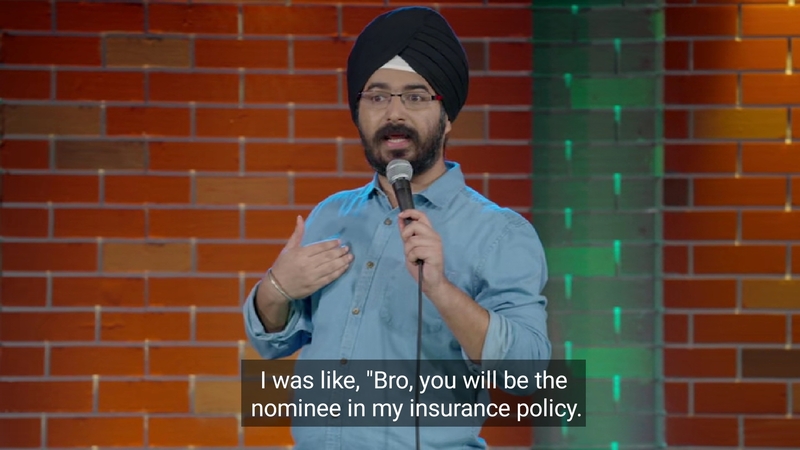 All of us have made the most important person in our lives as the nominee in the life insurance policy. For Angad, it’s not his parents or his wife, it’s a very special person who saved him and did super nice thing for him. After doing 15 lakh worth of MBA, and getting hired, he was fired within five weeks. Just like our friends, his friends too were the most supportive and the worst people at the same time. They motivated him to drink to forget, and when he refused so as to avoid hangover, this is what he had to face. It is his expressions that make even the everyday situations sound funny. It’s not just the personal life stories that he shares, his comedy is also based on observations. Isn’t this making you want to check out ‘Kaafi Filmy’? We’ll not stop you! Get watching.